The death penalty, uranium mining and the endangered dusky gopher frog are among the topics that justices will consider this year. The US Supreme Court began its latest term on 1 October amid a fierce political battle. For now, the court is evenly divided between conservative and liberal justices. The confirmation of a ninth justice is poised to shift the court’s ideological balance. Nature looks at the science-related cases that are on the court’s docket, and others that are likely to advance to the highest court in the land. 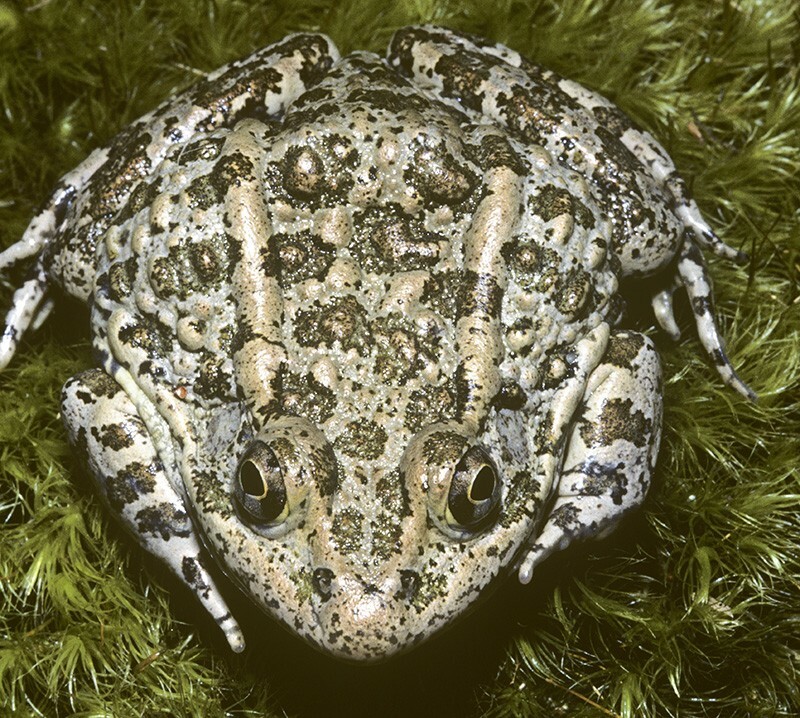 The Supreme Court’s first case of the term centres on the dusky gopher frog (Lithobates sevosus), one of the most endangered frogs in the world. Development projects have destroyed the amphibians’ natural habitat in the southeastern United States. Now, fewer than 100 frogs remain in a trio of ponds in Mississippi. To save the frog, the US Fish and Wildlife Service (FWS) wants to restore ponds on 2,621 hectares of land in Louisiana owned by timber companies, and then move the animals there. “Even though they’re extraordinary steps, if you don’t do that the frog is doomed,” says Patrick Parenteau, an environmental lawyer at the Vermont Law School in South Royalton. But the timber companies, who first sued the FWS in 2014, argue that the pond plan oversteps the bounds of the Endangered Species Act. The law requires the government to protect endangered species’ habitat, but does not specify whether this applies to land that is not currently suitable for a species to occupy. The case, which justices heard on 1 October, is only the fifth challenge to the Endangered Species Act to come before the Supreme Court since the law took effect in 1973. Parenteau says that the court’s decision could have a broad impact. A ruling in favour of the FWS could pave the way for the government to seize private land and create habitat for other endangered animals and plants — at a time when climate change is rendering many species’ longtime habitats unsuitable. The court has not yet said whether it will hear a case challenging the Trump administration’s plan to build a wall along the US–Mexico border. Three environmental groups filed suit in August, arguing that the wall would disrupt crucial migration corridors and habitat for jaguars, butterflies and other threatened species. People whose mental disabilities prevent them from understanding their crime or guilt cannot legally be put to death in the United States. A case now before the Supreme Court could decide whether this ban applies to people who were mentally capable when they committed a crime but later developed cognitive impairments. On 2 October, the court heard arguments in the case of Vernon Madison, who was sentenced to death for murdering an Alabama police officer in 1985. Madison suffered several strokes on death row that left him with vascular dementia. He is now unable to remember committing the crime, and his lawyers say that executing Madison would constitute cruel and unusual punishment. The state of Alabama argues that Madison can understand its reasoning for putting him to death if the situation is explained to him. But experts say that this understanding is limited. “Madison can mouth the words, but it really comes down to a value judgement: if this person displays these symptoms, is that someone who can prepare themselves for death?” asks Daniel Volchok, an attorney at the firm WilmerHale in Washington DC. The American Psychological Association and the American Psychiatric Association filed a joint brief in support of Madison. They say that brain imaging and cognitive tests prove that Madison, who is unable to walk or care for himself, cannot truly comprehend the rationale behind his punishment. Another case pits the state of Virginia against companies that want to mine uranium there. Virginia is home to one of the United States's largest uranium deposits, which could contain US$6 billion of the material. Several energy companies want to extract the uranium for use as nuclear fuel, but Virginia has banned uranium mining since 1982 because of environmental and public-health concerns. The energy companies sued Virginia in 2015, arguing that the state does not have the authority to regulate or ban uranium mining; the Supreme Court agreed to take the case after a lower court ruled in the state's favour. Virginia says that it can regulate public-safety matters related to mining, even though the Atomic Energy Act of 1954 gives the federal government oversight over nuclear issues. The court has not said whether it will hear several cases that could tighten regulations to prevent groundwater pollution. Federal law requires companies and municipalities to obtain permits before they release contaminants into surface water, but that rule does not apply to groundwater. It is not clear who is liable if pollutants released into groundwater leach into protected waters. Three lower federal courts have issued five conflicting rulings on the issue in the past year. The 9th Circuit court in San Francisco, California, ruled that Maui County, Hawaii, was responsible for sewage that leaked from injection wells into the ocean, but the 4th Circuit in Richmond, Virginia, ruled that coal-mining companies were not liable if arsenic from coal ash discharged into private ponds ended up in protected rivers. A ruling on the issue from the Supreme Court would supercede this tangle of lower-court decision. A case involving drug-warning labels could help to determine the limits of pharmaceutical companies’ liability for side effects caused by medication. Since 2010, hundreds of people have sued pharmaceutical giant Merck Sharp & Dohme over bone fractures that they allege were caused by Merck’s osteoporosis drug Fosamax (alendronate sodium). The patients say that the company is responsible for their injuries because it knew about the fracture risk, but did not mention it on the drug’s warning label. Merck says that it had proposed adding a warning about fracture risk to the label before the injuries occurred — but the US Food and Drug Administration (FDA) had asked for more data supporting a causal link between Fosamax and bone fractures. The government has filed a brief in support of Merck. Deciding what to include on a drug label is something of a balancing act, says Patricia Zettler, a law professor at Georgia State University in Atlanta. “The FDA doesn’t want it to include everything under the Sun because it’s supposed to include most important information.” She thinks that the government backing will help Merck, and that a ruling in the company’s favour could make it easier for pharmaceutical firms to win future cases where patients claim injury from a drug. The Supreme Court has not yet agreed to hear any cases this term involving climate change, but legal experts say that this could change. The Trump administration has worked to roll back a wide range of climate regulations, which has already prompted a wave of lawsuits. Some of those will reach the Supreme Court, says Sharon Jacobs, an environmental lawyer at the University of Colorado Boulder. Potential cases this term include a challenge to the Federal Energy Regulatory Commission’s decision to limit consideration of climate change when it evaluates applications for new natural-gas pipelines. Earlier this year, the agency said it would no longer require companies to address the climate impact of burning the gas in their licence applications. Environmental groups argue that the policy could weaken the government’s ability to regulate the indirect environmental impacts of fossil-fuel development. Another suit that could end up on the Supreme Court docket seeks to limit the government’s ability to regulate air pollution under the Clean Air Act. The law, which took effect in 1990, banned the use of chemicals called chlorofluorocarbons (CFCs) that destroy the ozone layer. Some manufacturing companies then switched to using hydrofluorocarbons (HFCs), which do not deplete ozone but are powerful greenhouse gases. In 2015, the US Environmental Protection Agency ordered two companies, Mexichem Fluor and Arkema, to switch to using less-harmful chemicals — and the firms fought back, arguing that the Clean Air Act applies only to CFCs. In a decision written by Kavanaugh, a DC Circuit Court ruled in 2017 that the EPA could not require companies that were using HFCs to replace them with less-damaging chemicals. Environmental groups and companies that make replaces for HFCs appealed on the agency's behalf. If Kavanaugh is confirmed to the Supreme Court, and it agrees to hear the case, he will likely recuse himself — increasing the likelihood of a split decision. Science in court: Smart enough to die?